The Drivers’ World Championship was decided in Mexico, but nobody in the Formula One pit-lane is taking their eyes of victory as the penultimate race of the year takes place in Brazil. Lewis Hamilton sealed his fifth world title last month, but he is not finished and wants to end the season in style. Hamilton is desperate to make sure his Mercedes team seal the Constructors’ title ahead of rivals Ferrari. “I still have a mission here and I still want to win,” said Hamilton. “That hasn’t changed. The last race was a tough one to swallow and probably the winter will be as well. But giving up is not an option. Hamilton does not have a great record around Interlagos, but Sebastian Vettel does having taken the chequered flag in Brazil three times, and Ferrari will be hoping for the win – but the German admits they are already looking at how they can improve in 2019. “I think something went wrong, as in we didn’t go and develop something in the right direction. So we missed something, not on purpose and not because something was by default set wrong,” he said. Ferrari trail Mercedes by 55 points, with 86 still available – so to take the issue to the final race in Abu Dhabi they would need to beat them in Brazil by 13 points. Red Bull, who dominated for much of the weekend in Mexico, do not believe that they have much of a chance of a repeat in Brazil. “Interlagos doesn’t suit our car that well,” said Max Verstappen. “But after finishing on the podium there in 2016 and winning last week in Mexico, anything can happen in the race. 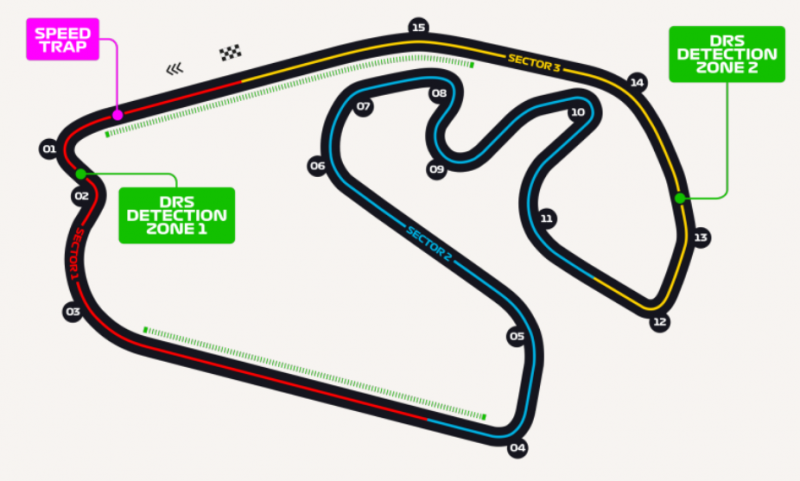 With 4th place enough last time out in Mexico to wrap up the Drivers Championship for Lewis Hamilton, there is a fear the last 2 races could be slight damp squibs. 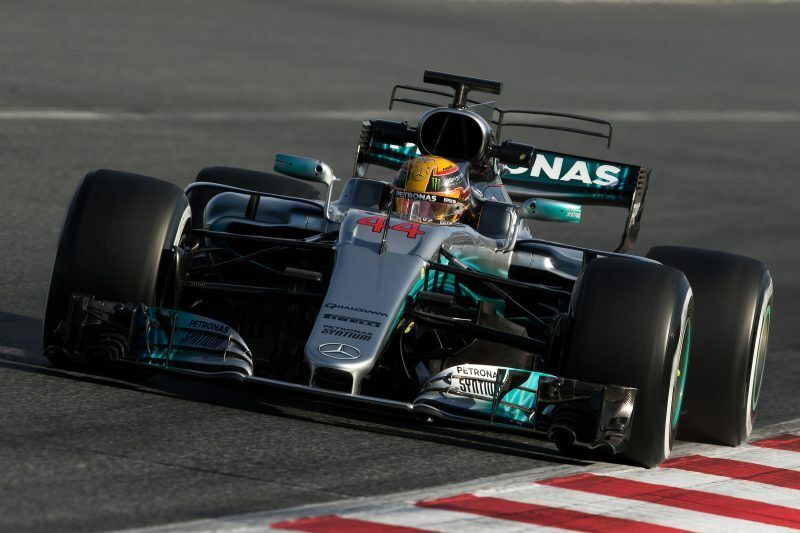 However the Constructors Championship is still alive and kicking, with Mercedes hoping to wrap up another double and Ferrari desperate to salvage a season which looked so promising before the break, but somewhat fell apart after. 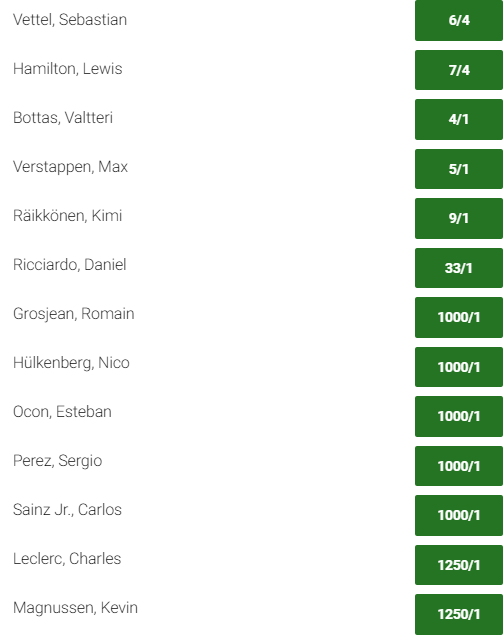 At Evens to take pole and 6/4 to win the race, Vettel is favourite for both, followed of course by the newly crowned champion, at 5/4 and 2/1 respectively. Any time Hamilton is not favourite for pole I would suggest it represents at least some value as the man is phenomenal at putting together single lap times. Mercedes have a strong recent record in Brazil having won 3 of the last 4 runnings. However the one they missed out on was last year, when Vettel took the win for Ferrari, so it’s tough to pick between the top 2. But, for anyone looking for a bit of a bigger price, as one of the most exciting and unpredictable races of the calendar and always liable to throw up a bit of a twist, Daniel Ricciardo to reach the podium at 5/2 in his penultimate race for Red Bull could, given a bit of luck and surprise in-running, look a decent enough price.